Hailing from the Southern California surf music scene, Jason Lee and the R.I.P.Tides are back with their sophomore album on Dionysus Records. Expanding their roster of world renowned events, this jet-setting crew composed powerhouse instrumental music and go-go girls has traveled the globe in recent years. Jason Lee and the R.I.P.Tides have been spreading their unique brand of crowd rousing surf to sultry orchestra arrangements, performing at weekenders such as Tiki Oasis, Tiki Caliente, The Hukilau and Surfer Joe’s Summer Festival in Livorno, Italy and every hip Tiki Bar in between. 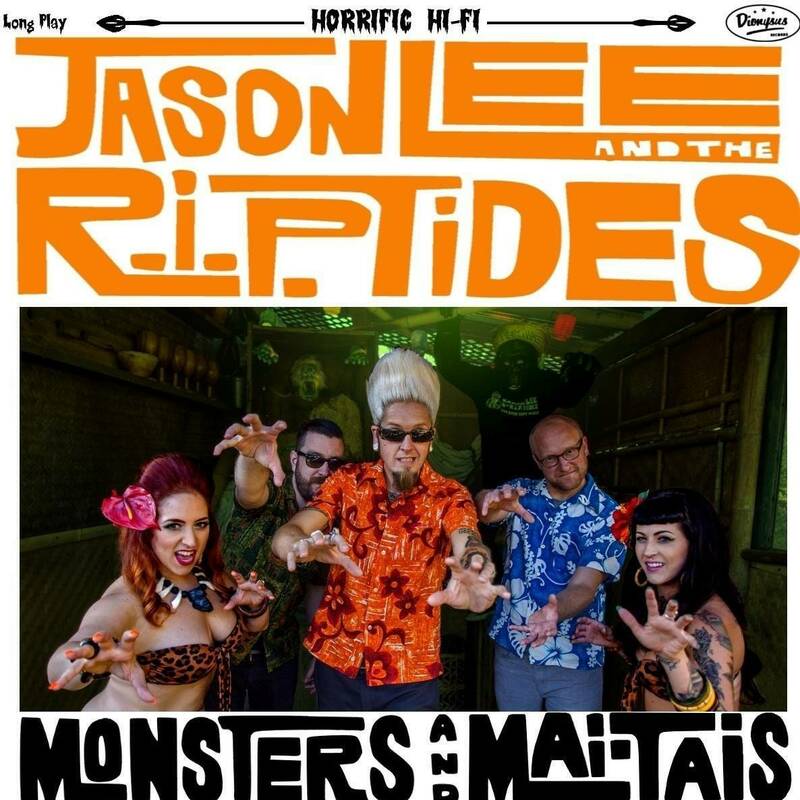 Deeply rooted in an eccentric scene where the tiki cocktails flow and music conjures up fantasies of exotic lands, “Monsters and Mai-Tais” will take you on a journey with Jason and his expanded line up. Be prepared for one wild ride!